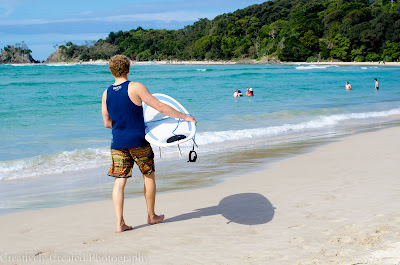 Last Saturday a few friends and myself took a road trip to beautiful Byron Bay. By now you probably won't be surprised when I tell you that my camera came with me. It is after all my almost constant companion. It was a lovely way to spend the day - great weather, excellent company and yummy food. Plus a few opportunities to take some beautiful photos. You can't ask for much better than that! 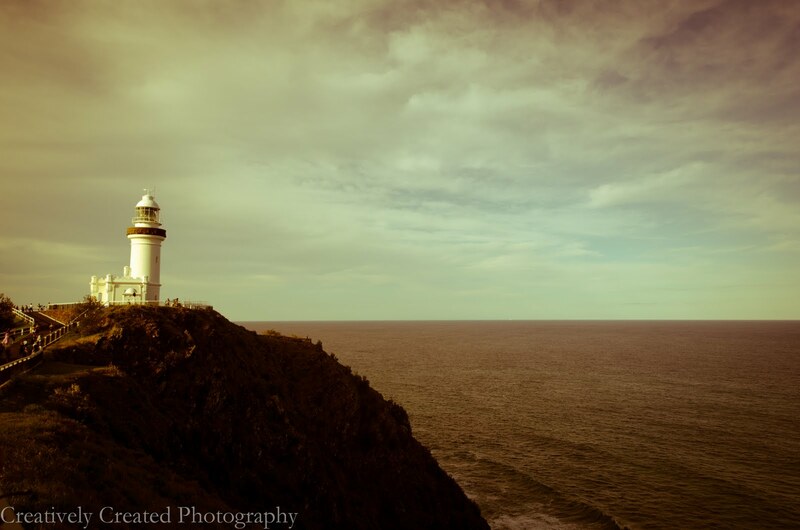 When I was little I used to want to live in a lighthouse and looking at the beautiful Byron Bay lighthouse make me think it would still be a pretty wonderful place to live. When some of my friends were swimming I decided to go for a little stroll to see if anything could capture my eye. Even though it wasn't the best conditions for photography I couldn't resist snapping a picture of a passing surfer. It seems to tell a nice story to me. 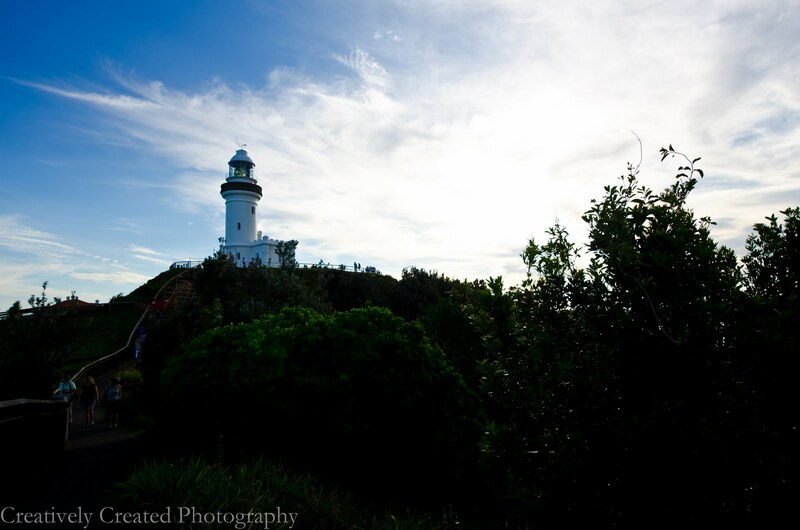 I must confess I was slightly obsessed with the Byron Bay lighthouse. It seemed made for serving as a subject for my ultra wide angle lens. Here's another photo of it where I applied a vintage filter. Of course I took the opportunity to snap a few photos of my friends as well. But I have to check with them before I share them on this blog. All in all I can't think of a better way to spend a Saturday. How was your weekend?